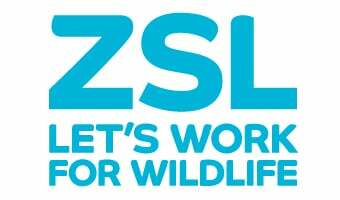 ZSL Library is one of the major zoological libraries in the world and contains a wide range of books and journals on all types of animals and their conservation. The Library also holds a special collection of material relating specifically to zoos and aquariums of the world. Guidebooks: These enable zoo historians to study how a particular zoo has changed over time. Maps show how the site has developed, illustrations show how enclosure design has changed and the text may reveal changes in the target audience, perhaps developing from mostly scientific descriptions to more family orientated information. Guidebooks are also a source of nostalgia for visitors remembering a particular zoo as it was it their childhood. Annual Reports: These provide insight into changes in a zoo’s overall vision and aims as well as documenting important events from a particular year and also giving details of changes in the zoo’s finances. Newsletters and magazines: Zoo newsletters may be aimed at members or friends of the zoo and include details about new arrivals, zoo events have articles about the zoo’s history and interviews with staff. ZSL Library also collects newsletters and magazines aimed at zoo professionals which may contain enrichment and husbandry ideas, book reviews and details of networking events, training and conferences. Journals: there are several journals that focus on zoo research and these are a valuable source of information for staff and visitors studying subjects such as animal nutrition, effect of enclosure design or enrichment on animal behaviour and visitor studies. Conference Proceedings: These include the annual conferences of various zoo and aquarium associations and conferences on subjects such as zoo design, enrichment, veterinary medicine and education. As conference proceedings are not usually formally published they can often be difficult to obtain. Husbandry Manuals: These contain details of best practice for the husbandry of various zoo animals and are very valuable to keepers, particularly if a new species is arriving at the zoo. They are also very useful for animal management students. Books: Books are published on a wide range of subjects relating to zoos and aquariums including history, design, ethics, the role of zoos in conservation and education in zoos. All books, conference proceedings and journals are added to the Library catalogue along with key newsletters and magazines. Zoo literature that is not added to the online catalogue is filed by country in the Library office. ZSL Library is fortunate to have a volunteer, John Cooper, who is currently listing all of the uncatalogued material. The list so far is available to near the top of this page.